When it comes to traveling, I do my best to limit having to check a bag. Not only do I not want to spend the extra money, I don’t like having to wait at the baggage carousel. (Who does, really?) For the last few years, my trips have been 5 days or less, so if I can reduce my time at the airport, I will. Back in 2015 I traveled to Florida for 5 days. 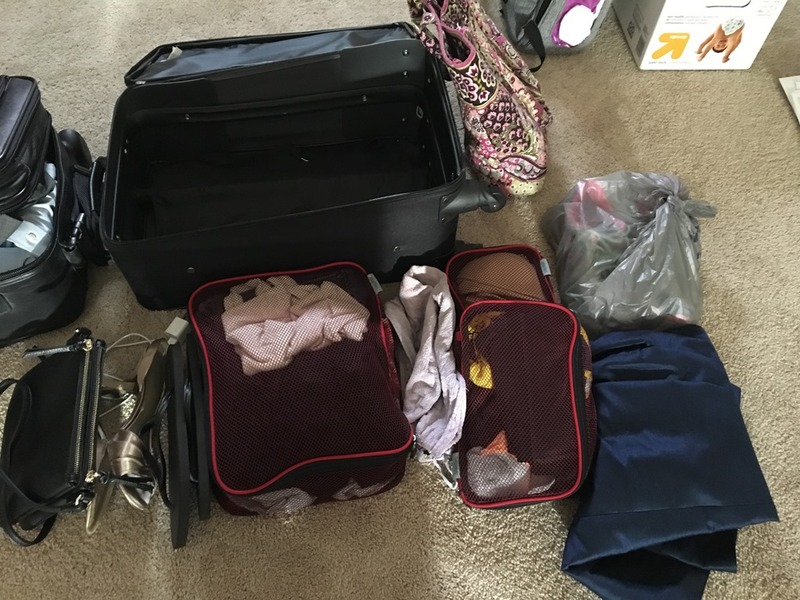 Because I was traveling someplace warm, I was able to pack light items and fit them in a bag for the overhead bin. On my latest trip, I went to Texas for 3 days. 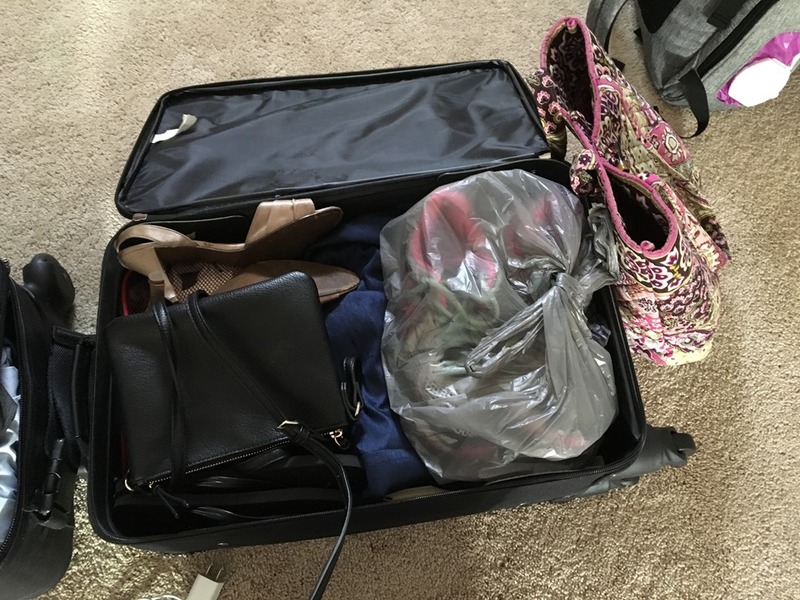 Although the trip was short, we were going for a wedding so I had to pack a dress and some nice shoes. I also made a point to try on outfits before I put them in my bag, to make sure that everything fit and that it looked coordinated. I also had a couple of pieces that I could use on multiple occasions. Really, it all comes down to just making sure to plan ahead and knowing what outfits you’re going to wear on what day. When I went to Europe in 2008, I purchased packing cubes. These are so crucial in making sure that everything is organized. 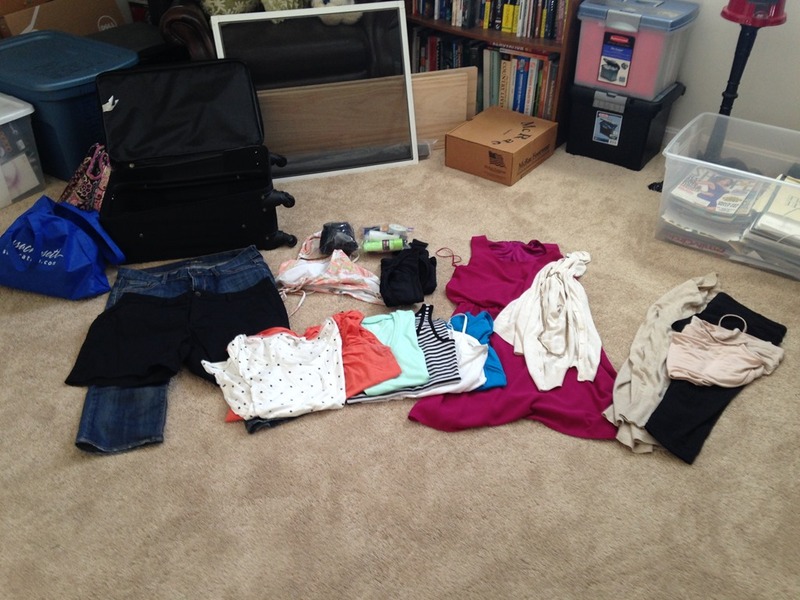 I had one cube for my undergarments and bathing suit; one for my running clothes; one for my jeans and shirts. I also used the rolling technique that my grandmama taught me, to maximize space. I do that in my drawers as well! I also had a shoulder bag that contained my wallet, phone chargers, magazines, water, sunglasses, and various other accouterments. On the flight, I wore a pair of jeans and a long sleeved shirt. I also packed a light jacket in case it got cold in the evenings. I do have to say that this type of mindset I’m in is far from where I used to be when it came to traveling. In high school and college, I had to have my special shampoo or face cleanser and usually those items were larger than 3.4 ounces. Therefore I was always checking bags to make sure that I had my “special items”. I’m so glad that I have grown out of that phase and feel comfortable enough to use whatever toiletry items are available at the hotel. It has taken off so much pressure when it comes to traveling. If there ever comes a time where I think I need to pack more than my carry-on will allow, I’ll see if I can mail my items ahead of time. My parents did that back in the 90s when we would visit my grandparents in Florida in April. Hey, we live in Massachusetts; we wouldn’t need the summer clothes quite yet! Ha-ha. I realize that this isn’t rocket science, but I wanted to share with you my tips and tricks. Please feel free to leave your ideas and tips in the comments!